If you are looking for some great resources to aid in your teaching of GCSE English Language (the AQA board) then look no further. Over the last few years I have created a stack of resources to help – particularly with the all-important question five on Paper One (and likewise for Paper Two). They are also often known as P1Q5 and P2Q5 – just to make life easier. 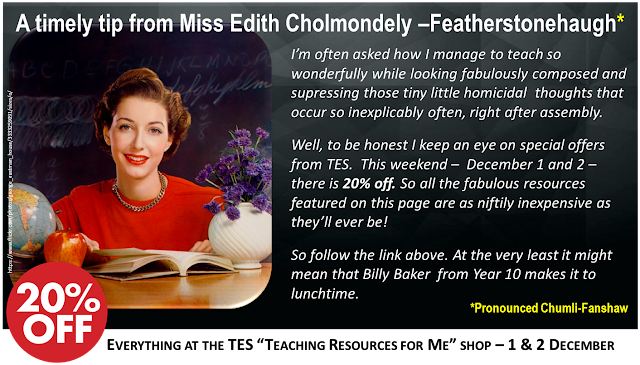 So, please head over to my ‘shop’ on the TES website and if you are lucky enough to be reading this post on its day of publication, you will even get 20% off!